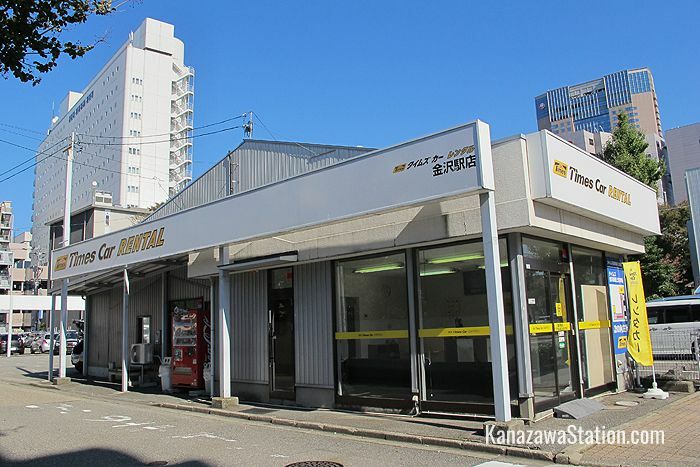 If you are thinking of renting a car in Kanazawa there are a number of reputable car rental companies with offices in the immediate vicinity of Kanazawa Station. 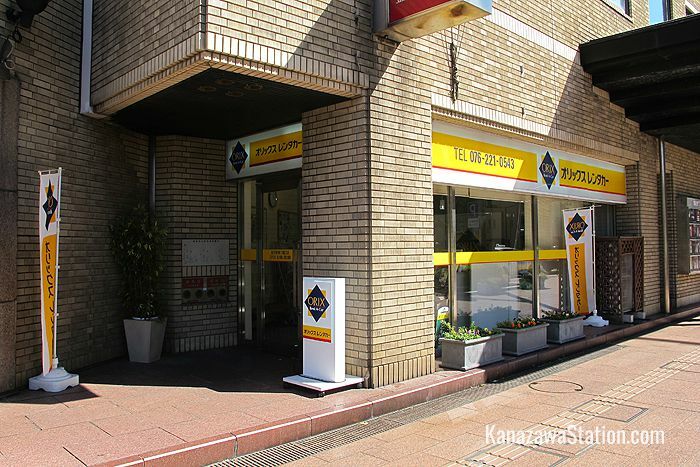 Not too far from the East Gate of Kanazawa Station you can find the offices of Toyota, Orix, and Nissan. 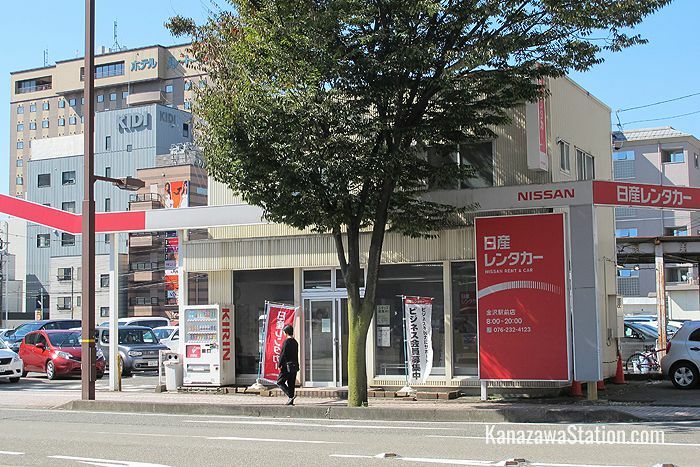 Toyota and Nissan also have offices close to the West Gate side of Kanazawa Station, and here you can also find the offices of Nippon, Times, and Kanazawa Station’s own rent-a-car service called Ekiren. Check out the map below for their exact locations. Of these, Toyota, Nippon, Nissan, Times, and Orix have websites with plentiful information in English (see the links above). Before deciding whether or not to rent a car though, there are a number of things you need to consider. 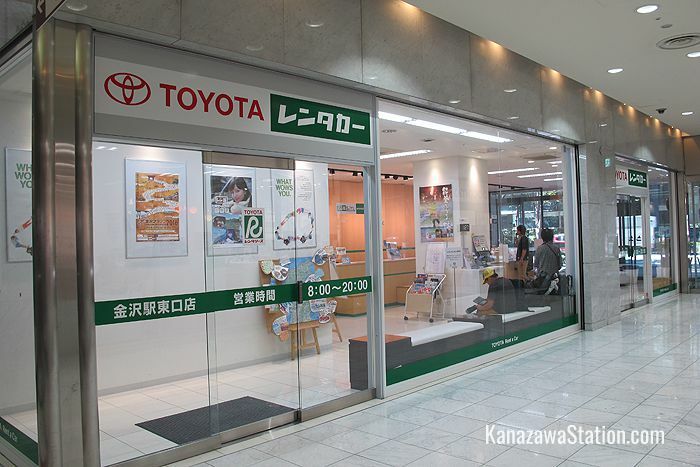 You will need a valid international driver’s license in order to rent a car in Japan. These are not issued in Japan and must be obtained in your home country in advance. You will also need a valid driver’s license from your home country that is at least 3 months old. 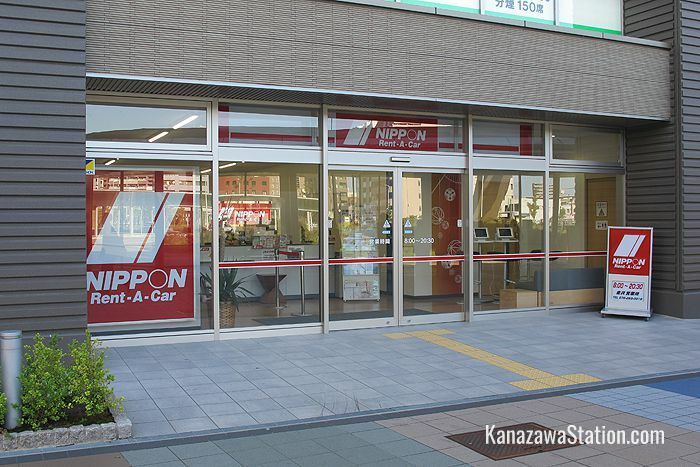 Certain countries do not issue international driver’s licenses that can be used in Japan. These countries are Switzerland, Germany, France, Belgium, Slovenia, Monaco and Taiwan. Drivers from these countries need to obtain an official Japanese translation of their original driver’s license from the Japan Automobile Federation (JAF). You can find out more about this at the JAF website. Renting a car might be a worthwhile option if you intend to explore rural areas of Japan that are less accessible by train or bus. Renting a car may also be an economical option if you are traveling with a group of people who can share the cost. 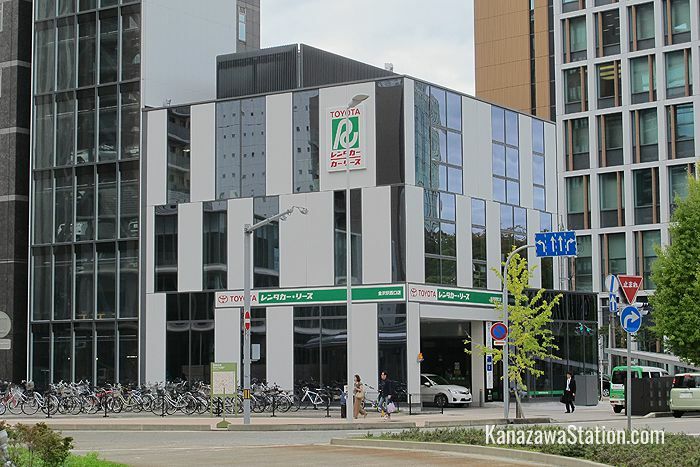 Within Kanazawa city itself, a car doesn’t really seem necessary as the city has such an excellent public transport system and most of the main tourist locations are within easy walking or cycling distance from each together. 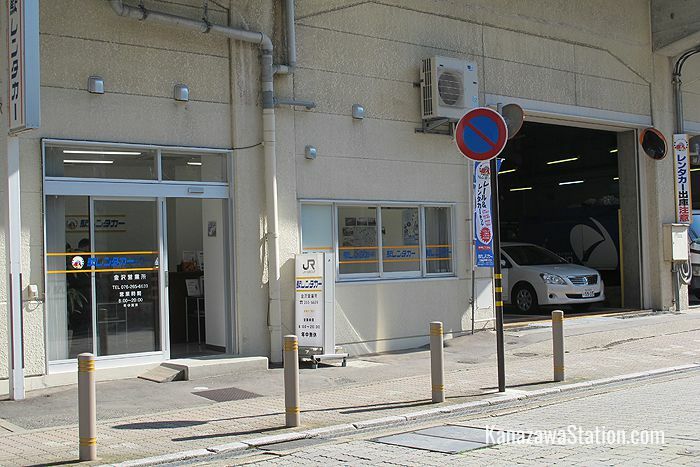 However, a car might be useful for exploring more remote areas in the Hokuriku area around Kanazawa. 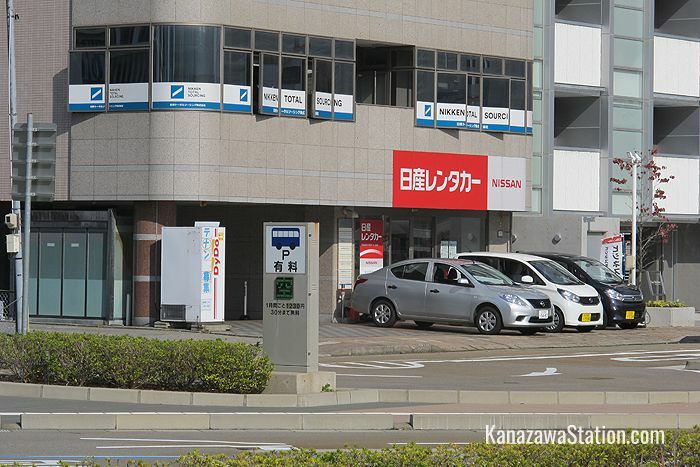 At the time of writing the average price of gasoline in Japan is 125 yen per liter. If you want to rent a standard sized five-seater compact car for 24 hours, it will cost you between 7,000 and 8,000 yen. The car will come with a full tank of gas and should be returned to the company with a full tank also. Major roads, towns and cities have English signage but more rural areas do not. However, almost all rental cars are fitted with GPS satellite navigation systems. The GPS might have English on the menu, but in case it does not, ask your car rental company to show you how to use it before your departure. They can also program the navigation system for you with your destination’s address or telephone number. Also, just to be on the safe side, it might be a good idea to buy an English-Japanese road atlas in advance. The Japan Automobile Federation (JAF) publishes an English language guide to Japan’s traffic rules called “Rules of the Road”. You can buy these at JAF offices throughout Japan. A digital version is also available to download from the JAF web site. And remember the first rule of the road in Japan: driving is on the left!